Decision: Kyrie Irving is one of my favorite players in the entire league. Tired of being “LeBron’s little brother”, Irving requested a trade this offseason to prove that he can be the man and he received his wish, when Cleveland sent him packing to their arch-rival in the East, the Boston Celtics. After two straight losses to open the season (and also losing wingman Gordon Hayward to that gruesome leg injury), Irving and the Celtics responded with 16 straight wins, this year’s longest winning streak by far. 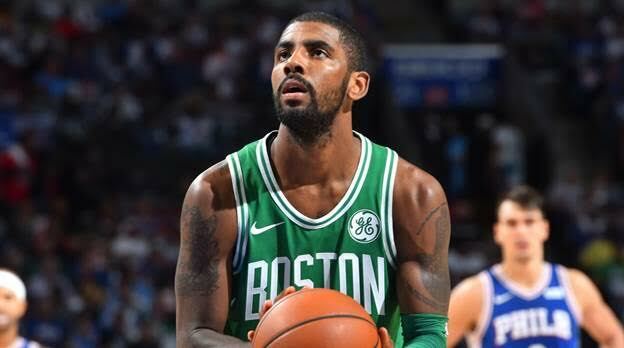 I want to see playoff success from him too but Kyrie has already proven to critics why he believes that he can be the lead man on a championship squad. Irving is without question a top 10-15 talent in the league. An extremely entertaining player with some of the best handles and finishes I have ever seen. Uncle Drew definitely receives an all-star bid and most likely, the starting nod. Decision: “I’m just like DeRozan, if I shoot it, it goes in.” It’s almost every NBA player’s life goal to be mentioned in a hit rap song and Kyle and Lil Yachty made that possible last summer for Demar with iSpy. It’s not just because the words rhymed too, the reference is well deserved. DeRozan has been the best scoring shooting guard in the East for the last several years, averaging 20+ points in every regular season since 2013-2014 and those numbers should continue throughout 2018 as well. 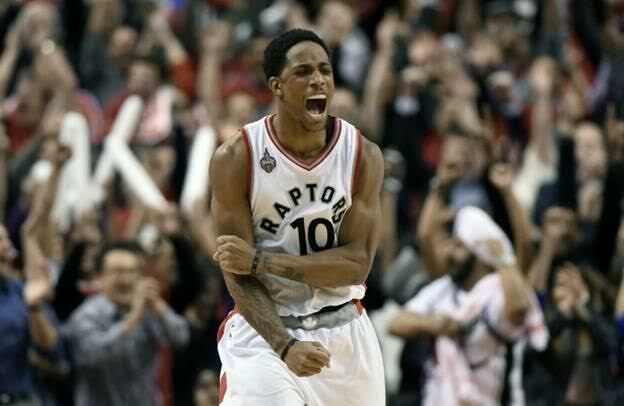 DeMar DeRozan has been the face of the Toronto Raptors after signing his 5 year/$139 million contract. Could this be the season he becomes the league’s MVP or better yet for Toronto, takes the Raptors to the NBA Finals? Decision: For my Knicks sake, I keep waiting for LeBron James’ skills to start declining, but I think I might have to wait a couple more decades for that to happen. It seems every year that LBJ comes back stronger and better than ever. With 12 consecutive top-five finishes in MVP and 13 straight all-star game appearances, it is obvious that LeBron James is still King. So far, to start this season, LeBron looks as impressive as ever. 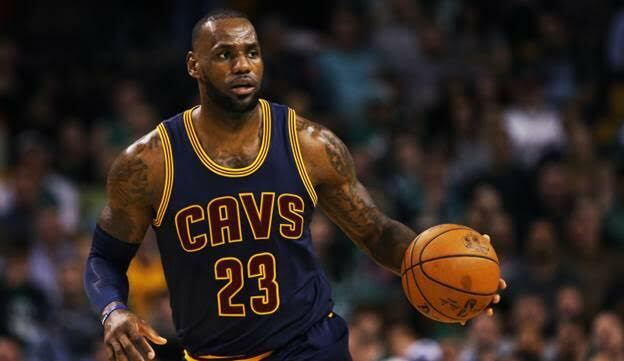 Realistically, you can give LeBron James the MVP award every season and it would be well warranted. However, the NBA likes to spread the wealth and nevertheless, LeBron, the best basketball player in the world, will continue to be one of the best for a long time. Without a doubt, no question, an all-star starter for the East in 2018. Decision: The Greek Freak is exactly that. A Greek FREAK. At only 22 years old still, Antetokounmpo has steadily improved since entering the league at age 19. 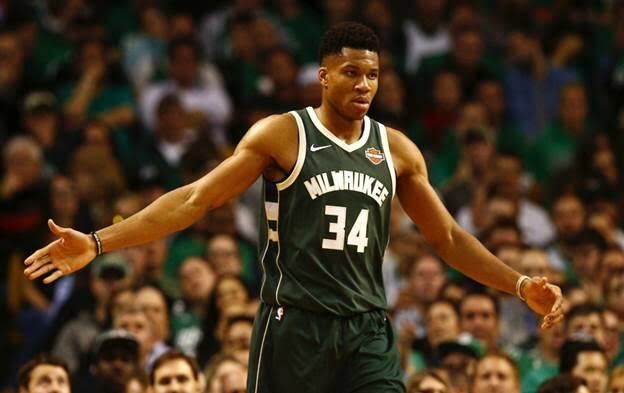 A year after becoming only the 5th player in NBA history to lead his respective team in points, rebounds, assists, steals and blocks, Giannis has once again, taken another major leap forward into superstardom and has already become one of the most unstoppable forces in the entire NBA. A top five scorer in the league to start the year, along with his superb overall complete game, Giannis is a clear-cut favorite for MVP and will definitely be an all-star starter in 2018. Decision: What’s your favorite imaginary animal? WOW! What a coincidence. Unicorns are mine too. Unfortunately for non-Knicks fans, there is a real-life unicorn in the NBA right now, wreaking havoc for other teams, and his name is Kristaps Porzingis. 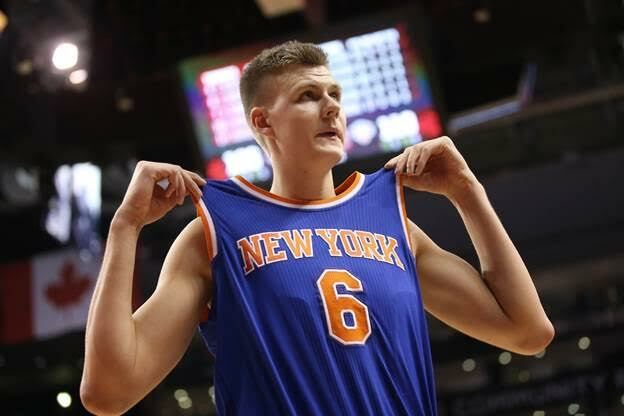 While KP is not a pure center, his 7 foot 3 body has more than enough size to handle the starting center role. Basketball fans have been amazed by Porzingis’ offensive game since entering the league but his defensive prowess is above average as well. Currently, 3rd in the league in blocks, Porzingis is truly a beast. Embiid and Drummond are both having fantastic seasons so far too but it would be travesty if James, Antetokounmpo and Porzingis, all didn’t start this year’s all-star game together, since the three hybrid big men are all playing at an MVP-type caliber level. Jake Montgomery (23 - Bellerose, New York) has been a die-hard sports fan since he could swing a bat and toss the pigskin. He graduated from Adelphi University in May 2016 with a B.A. in Communications and a concentration in Broadcast Journalism. His career objective is to combine his passion for sports with his business and on-air abilities to gain experience in the various facets of sports journalism and sports broadcasting. Jake started off his sports broadcasting career as a Promotions Assistant for WFAN Sports Radio (2013-2017). After several years with the FAN, Jake has recently begun a new chapter in his life – 98.7FM ESPN New York. Starting in early April 2017, Jake has already assisted in various promotions and remote broadcasts for the Worldwide Leader in Sports. 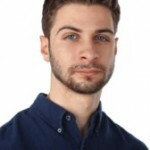 As a teenager and young adult, Jake was also a successful on-camera and voiceover actor. He is currently a member of SAG-AFTRA Union and has been featured in over 50 television and radio commercials, including Trix Yogurt, Lucky Charms Cereal and even a New York Rangers commercial that aired back in 2006. While Jake follows all sports teams, he is a major fan of the following: New York Yankees (MLB) New York Giants (NFL) and New York Knicks (NBA). 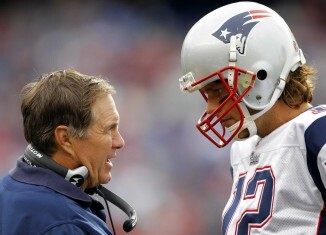 He will cover all three of these major sports for KeepingItRealSports.com. Join the KIRS Radio team from Noon to 1pm for unique and entertaining sports coverage you can't find anywhere else! The team will be discussing the NFL Conference Championship games and speak with Dr. Steve Novicky about his successful safety brand Shock Strip! In this episode of Joking Off, Stan talks about whether Lebron James would be dominant in other eras, Michael Sam, meeting women, OkCupid and his history with...ladies of the night.